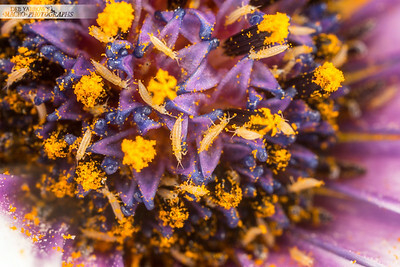 A featured collection of macro photographs of the various insects that pollinate flowers. 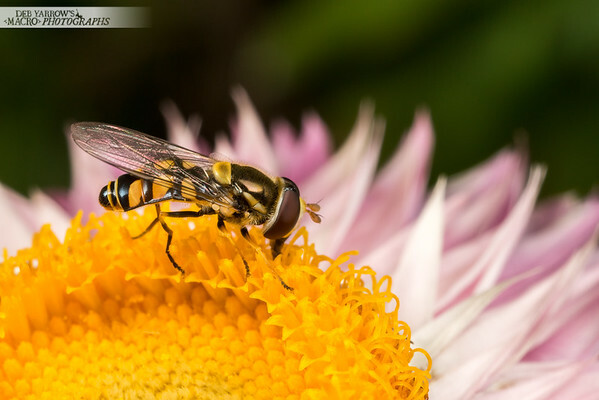 Eulophidae sp. 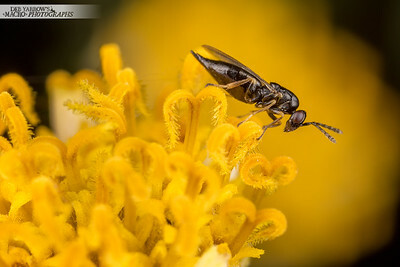 wasp on the flower of a cobbler's peg. 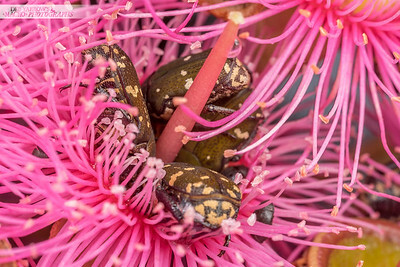 Oxley Creek, QLD. 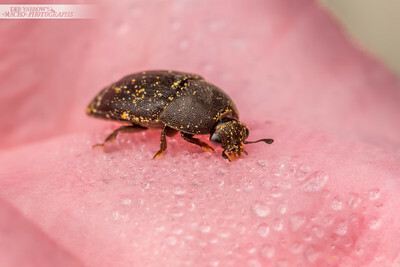 Pollen covered beetle sips dew drops from a rose petal. Kyogle, NSW. 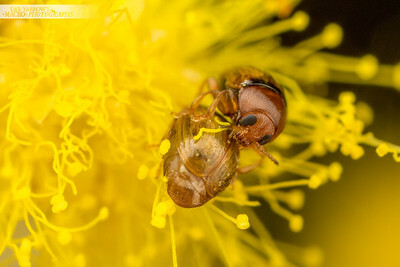 Flower beetles feed on nectar in a gumnut flower. Mt Coot-tha,QLD. 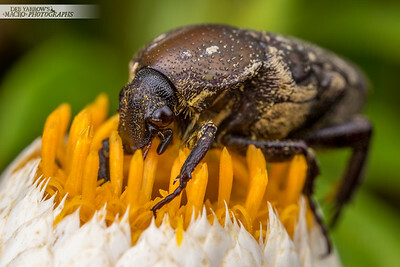 Brown flower beetle on a paper daisy. Mt Coot-tha, QLD. 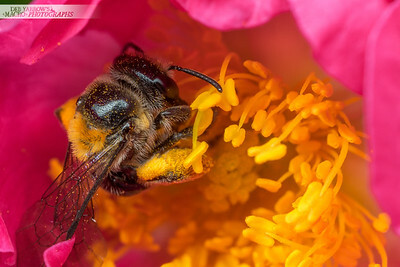 Carpenter bee (Xylocopa) applies her abdomen and vibrates it rapidly to induce the release of pollen. Kyogle, NSW. 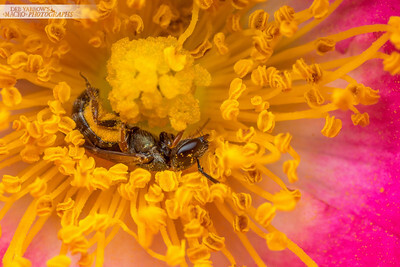 Beautiful metallic green Halictid bee does laps round and round the centre of this bramble rose, occaisionally rolling around like a cat in catnip. Kyogle, NSW. 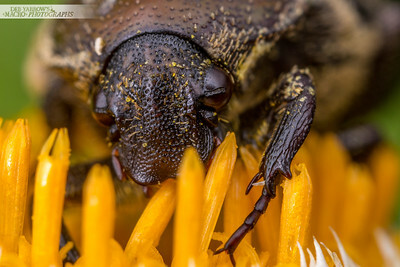 Comb-clawed pollen-eating beetle enjoys some pollen. Kyogle, NSW. 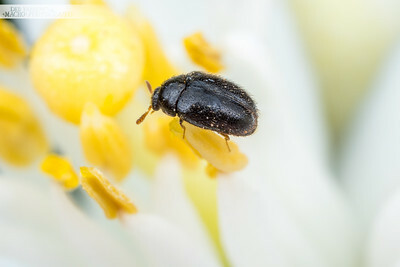 Tiny beetle helps pollinate a citrus flower. Bunya, QLD. 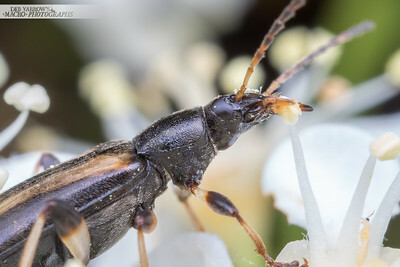 Thrips doing whatever thrips do in the heart of a white daisy. Gayndah, QLD. 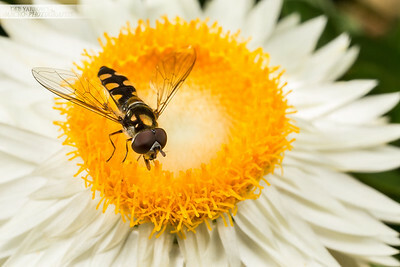 Common hover fly on paper daisy. 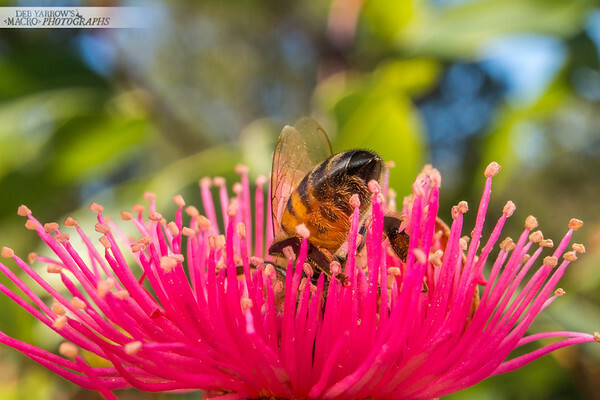 Toowong, QLD. 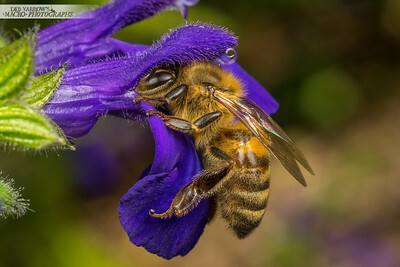 Salvia flowers are shaped perfectly to deposit their pollen on the hairy backs of bees that come to collect nectar. 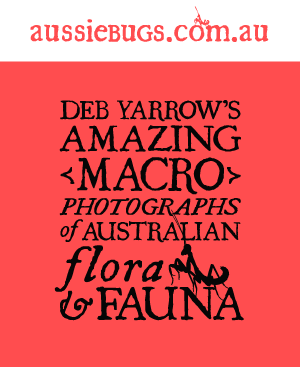 Toowong, QLD. 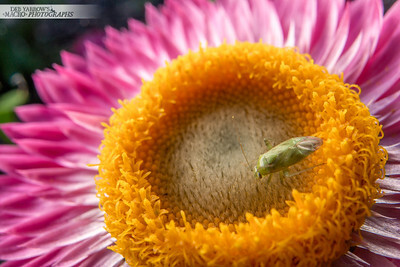 Green bug explores food options on a pink paper daisy. Mt Coot-tha, QLD.